I first encountered bhang during my visit to Varanasi—the timeless city on the banks of the Ganga and the temple abode of bhang-loving god Shiva. “Padi, ya na padi (With or without)?” asked the vendor at Godhuliya Chowk selling thandaai, chilled milk with finely powdered almonds, fennel seeds, rose petals and saffron. My husband and my mother exchanged smiles and said, “Na padi (Without).” Then, some 20 years ago, the question and answer intrigued me. The thandaai wala was asking us whether we wanted the drink with or without bhang, leaves and flower tops of hemp. Varanasi and bhang can be said in one breath. I have seen it being offered with datura flowers (Datura stramonium) to the Lord of the City in the temple adjoining the haveli where we would often stay during our visits to Varanasi. On the day of Holi, pakoras (fritters) made of hemp leaves are a special attraction (see recipes). Bhang or hemp (Cannabis sativa), whatever one may choose to call it, has been an integral part of not only Varanasi but several ancient civilisations across the world. It is said that cannabis originated in the Himalaya and travelled the world over as weed. Its use and abuse have been recorded from time immemorial. The first known cloth was made in China in 8,000 BC from hemp. The two essential materials used in ship-building—from the times of Vikings and Columbus—were wood and hemp. Ropes and sails made from hemp fibres were strong and pliable. They could take on harsh winds and withstand varying weather. The paper, on which some of the classics of literature, including Alice in Wonderland, were written, was made from hemp. Besides, several therapeutic properties are associated with cannabis. I discovered some of these medicinal uses some four years ago during a field trip with students to remote villages in the Shivaliks, the Himalayan foothills. The van gujjar communities there told us how smoking a joint just before delivery eases pain. 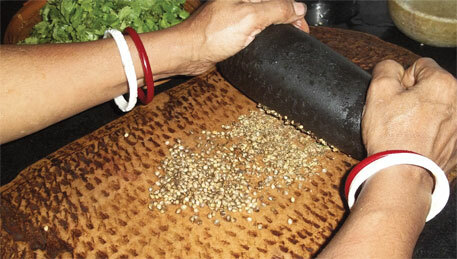 Bhangolu, as bhang seeds are called in the region, are mixed with cattle feed for better milk yield. The paste of fresh bhang leaves are used to dress wounds and cure sores, while its juice is applied to cure lice infestation and dandruff. During another field trip with students to the fruit belt of the lower Himalaya, we stayed in a village for some days. Those were the summer months, time for fruits to be plucked and potatoes and onions to be dug out. The students enthusiastically helped the farmers pluck and pack the fruits. The city-bred ones learnt to scoop out onions and potatoes for their meals. Alongside, they would pluck a few sprigs of coriander and mint leaves for the preparation of a tasty side dish, bhang ki chutney. It was a lip-smacking, nutritious accompaniment prepared from bhongalu and served with the main course—rice and daal or with parathas—that they would look forward to at the end of the day. The village residents usually roast bhang seeds and keep them aside for the winters. Like the leaves, the seeds have high levels of omega oils, amino acids and vitamins, and keep the body warm during the harsh Himalayan winters. 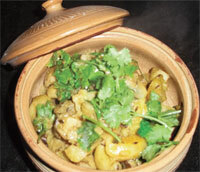 A fry of crushed radish and potato, garnished with the paste of roasted bhangolu and green chillies, becomes the mouthwatering delicacy, thechki. I learnt the recipe from the ever-smiling Manju Devi, one of the young brides of the family I stayed with. During another trip this year to the remote Tolma village, 2,575 metres above the sea level in the Nanda Devi Biosphere Reserve, I saw hemp growing all around. On our probing, the residents answered straight-faced that they wanted to get rid of this persistent weed, especially because the government prohibits its cultivation. We prodded a bit more. How times had changed, they told us. Cannabis smoking was prevalent till a few decades ago. The process was simple, explained Susheela Devi, an elderly woman. Bhang flowers would be plucked, dried, crushed and wrapped in leaves—which would then be lit and the smoke inhaled. She told me this was beneficial in case of premenstrual syndrome, epilepsy and body ache. Now, with increased vigilance, no one wants to smoke the banned stuff. The seeds of the wild untended plants are a waste. In fact, the plants need to be regularly uprooted and burnt to prevent it from encroaching upon their ever-shrinking agricultural land. Since 1980, it is illegal to grow, consume or traffic the weed in India without the government’s permission. 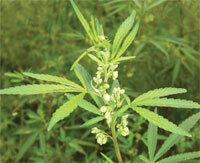 Now, hemp is grown for medicinal use by the government. There are licensed shops that sell it. At Tolma, Susheela had asked, “Why restrict communities from using this wonder weed, every part of which is useful?” Her question kept ringing in my head as I trekked down three kilometres to Suraithota village to head for home. very interesting and informative read. Adithya, yes you must visit Varanasi and Shantiniketan (Tagore's home)during Holi. Beautiful and colourful Holi played here. Thank you Mansi and Anonymous for the encouraging words. A very interesting article with lots of information coming from lots of places..! very well written..! Just have a question if Muli ki "Thekchi" dish discussed is from Uttarakhand...?? If yes, that is pronounced as "Thechwani" not "Thekchi". 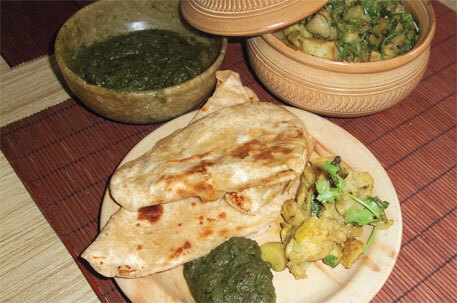 Thechwani means a curry prepared by crushing (thechna). You are right. Even the recipe is messed up. What happened to turmeric, chilli and corriander powder? And the oh-so-important heeng? And lady, mustard oil is as important to thechwani as olive oil it to pizza. Really. Ugh, good article, bad recipes. You should try bhang seeds in sani hui mooli.
" Susheela had asked, Ã”Ã‡Â£Why restrict communities from using this wonder weed, every part of which is useful?Ã”Ã‡Ã˜ "
Any survey done to see public opinion ?